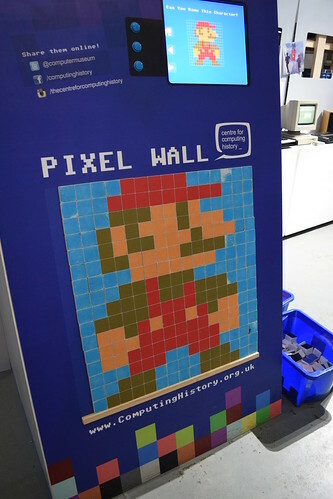 The award-winning game designer John Romero took the stage at the Centre for Computing History in Cambridge for a talk and Q&A session. 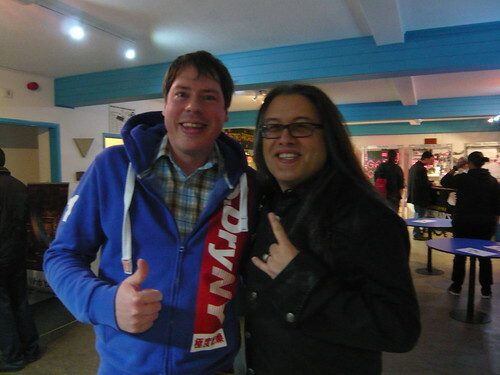 It was great to hear John Romero, co-founder of id Software and the man behind such iconic titles as Wolfenstein 3D, Doom and Quake, talk about his career and his games. 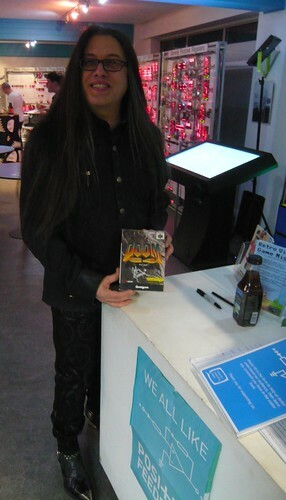 John Romero was a really nice guy and I even managed to get a couple of my games signed. 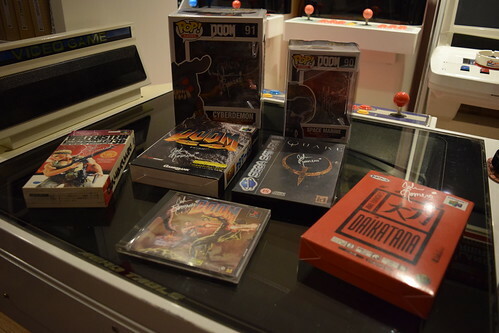 Out of these items, I was most pleased about getting my Doom 64 signed. 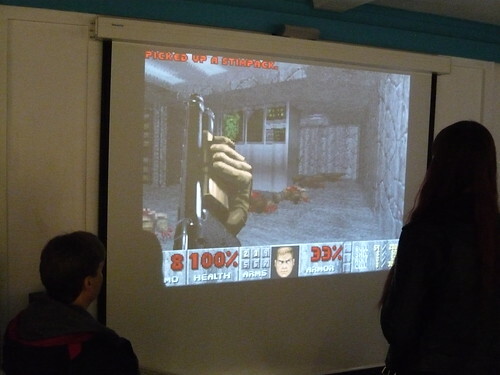 Taking place after Final Doom, Doom 64 was one of the first games I bought for my Nintendo 64 and I absolutely love this version. 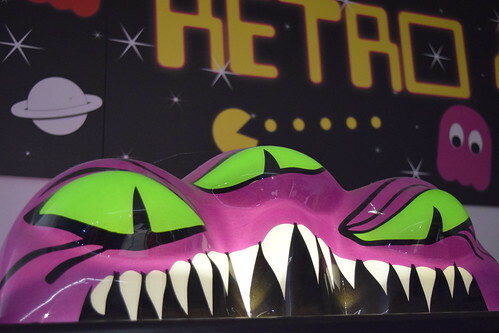 The game was developed by Midway Games, with id Software supervising the project. John’s wife, Brenda, seemed particularly impressed with my Japanese copy, saying that it’s a version missing from their collection. 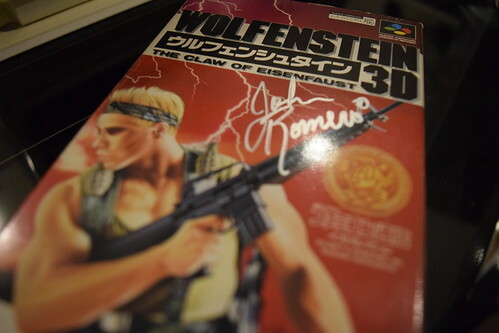 I love the box art on the Super Famicom version of Wolfenstein 3D. 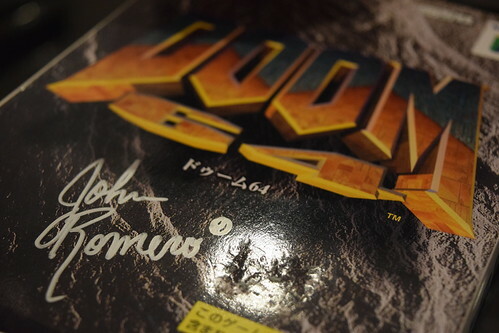 I must admit I felt a little star struck and was slightly nervous about asking him to sign my Japanese N64 Daikatana given its infamously poor reception after all the hype. 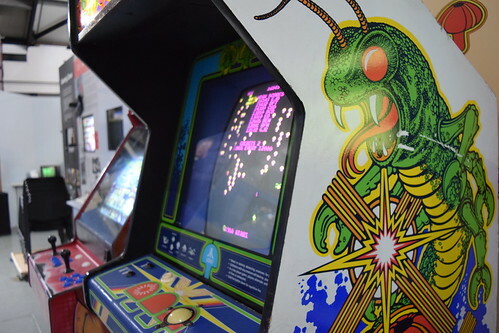 Despite the bad press, the game was extremely ambitious for its time, featuring four distinct time zones, a wide variety of weapons and AI-controlled sidekicks, and is without doubt a fascinating piece of gaming history. I was surprised when John told me the Game Boy Color had a pretty good version of Daikatana. I never knew this existed and thought he was joking. It turns out this version is a Legend of Zelda like top-down action-adventure game, with dungeons, puzzles and boss battles, along with a text based story. 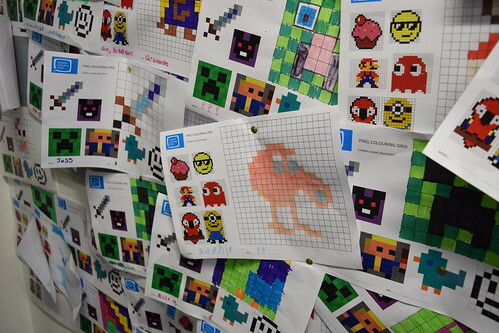 The game was only published in Europe, and is definitely one I’m going to look out for. 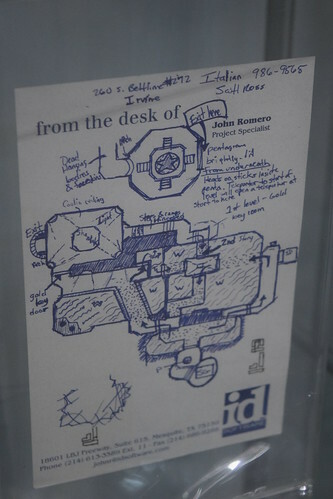 It was interesting to hear John reflect on Daikatana and its troubled development. 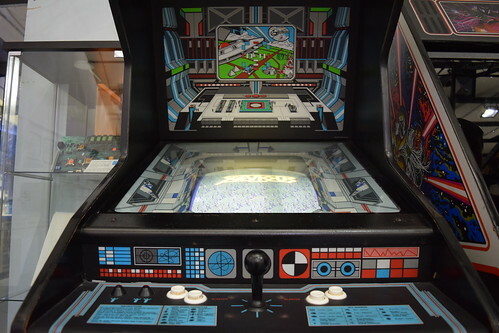 However the game is not without merit, with John commenting that even now the AI developed for the sidekicks is still some of the most advanced out there. It was also cool to listen to John talk about Gunman Taco Truck, a game designed by a then nine year old Donovan Brathwaite-Romero and co-developed by him with Brenda and John. The game is as mad as it sounds, with the player blasting their way across a mutant-infested United States in a heavily armored and weaponised taco truck, selling tacos with mutant-based fillings to survivors. 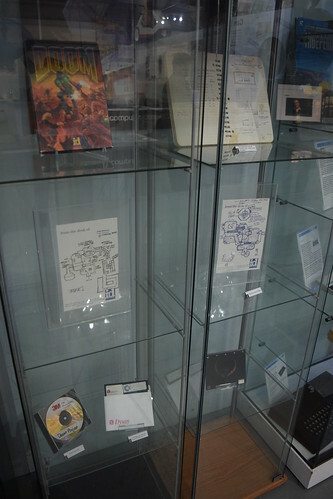 Some cool artefacts on display. 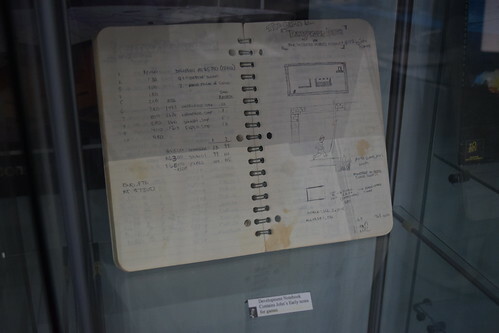 Development notebook contains John’s early notes for games. 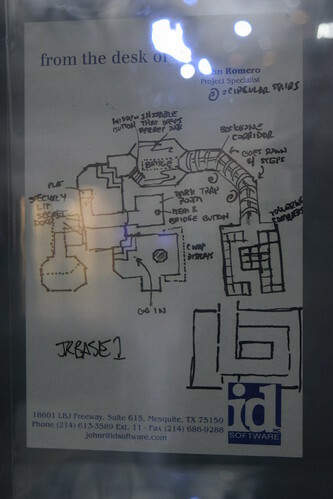 Hand drawn map of Quake. 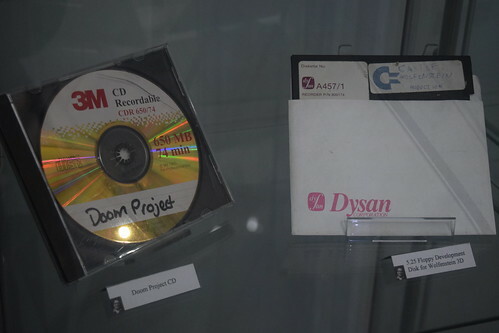 Doom Project CD and 5.25 floppy development disk for Wolfenstein 3D. 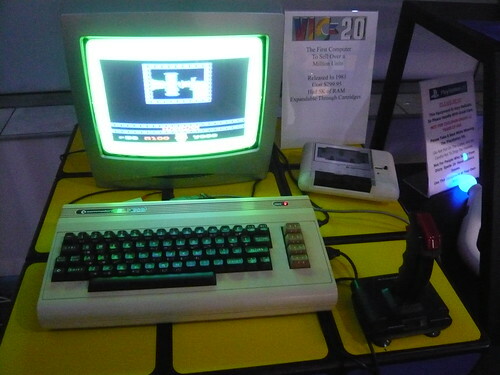 Doom on the Commodore VIC-20? Why not! 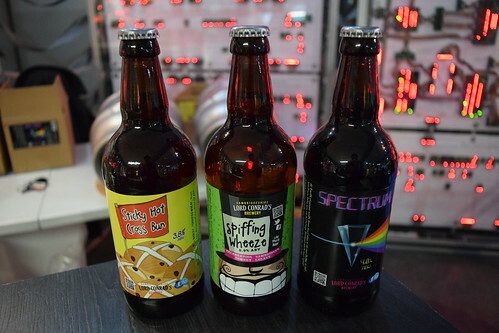 The beers provided by Lord Conrad’s Brewery and the slice of pizza from 400° Pizzeria went down well! 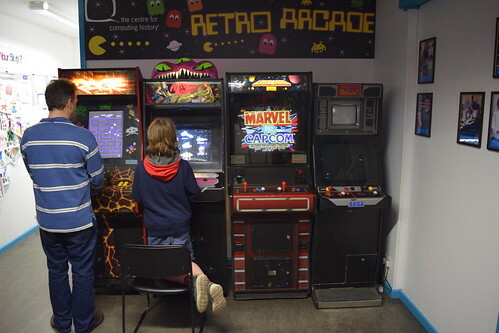 During the day we spent a couple of hours at the museum, exploring the history of computers, and playing on various computers, consoles and arcade machines. 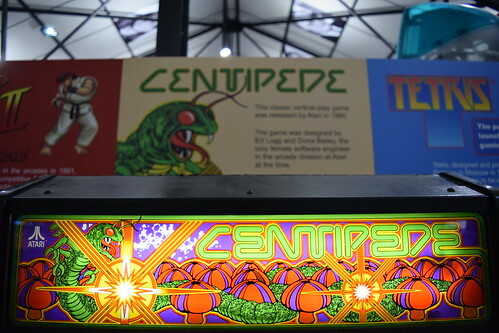 Highlights include the Pixel Wall, some pretty competitive games of Pong with my wife and five year old daughter, and a few credits on Centipede, Tempest and Xevious. 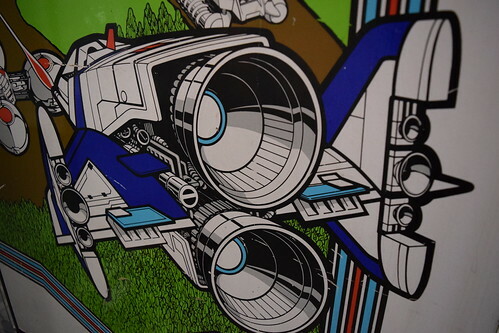 It was the first time I had seen a Xevious cab. I love the design and cool artwork. 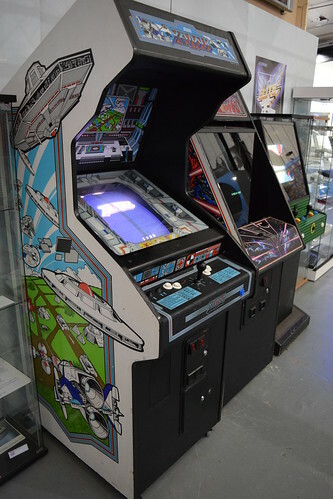 Following the 1983 videogame crash, 728,000 unsold games including E.T. 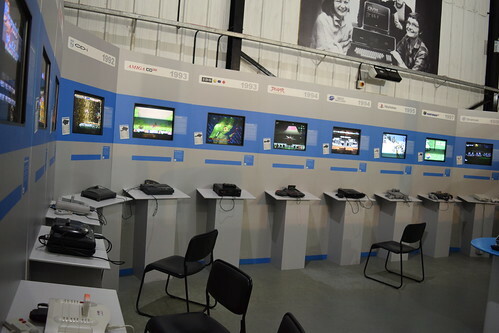 were buried in a landfill site in Alamogordo, New Mexico, marking the symbolic end of Atari as a video game industry giant. 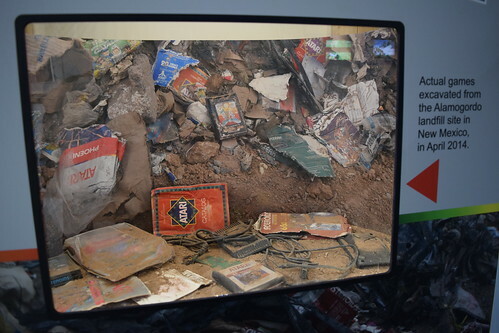 Here are actual games excavated from the landfill site in April 2014, very cool! We had a great day at the museum and I would highly recommend a visit. 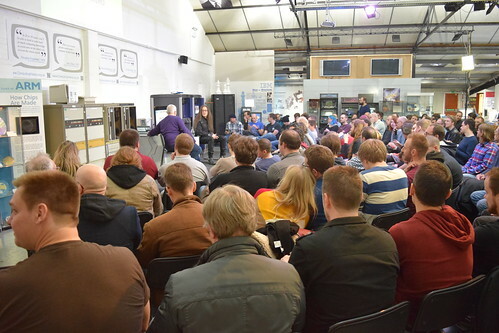 A massive thanks to John Romero and the Centre for Computer History for hosting the event. It’s well worth keeping an eye on their website for upcoming events. Labels: Arcade Gaming UK, Gaming Misc.